JULIA SPENCER-FLEMING: It's always a pleasure to read a debut mystery featuring a unique protagonist and setting. It's even more of a pleasure to see the debut highly praised and learn there's a second book on the way! Swiss-American police officer Agnes Lüthi is pulled into the investigation of a dead watchmaker while recovering from injuries she sustained in her last case. Guy Chavanon died a week ago, and his daughter doesn’t believe his death was accidental. Shortly before he died, Chavanon boasted that he’d discovered a new technique that would revolutionize the watchmaking industry, and she believes he may have been killed for it. Reluctantly, Agnes agrees to investigate his death. But the world of Swiss watchmaking is guarded and secretive, and before she realizes it, Agnes may be walking straight into the path of a killer. Today, Tracee is sharing part of the inspiration for A WELL-TIMED MURDER - the differences and similarities between old school chums in two different cultures. It’s the fifth, may I still say happy new year? I think so. Happy New Year! I spent the past week at my parents’ house in western Kentucky where I grew up. Nothing makes for a year-in-review (life in review?) moment like a return ‘home.’ I dove into family life and barely left the house (my six-week-old niece was there, attention grabber!). However, there was plenty of time to think about friends from childhood. Growing up in a small town means there is a sense of connectivity even among people you don’t know. This was well before ‘degrees of separation’ were counted, but I’d say that there were never more than two. Everyone ‘knew’ everyone or could place them – through band, sports teams, friends of siblings or parents, church, neighbors. Somewhere there was a connection. We were all in a loose circle, and whether side by side or way across the gap, there was an element of continuity. 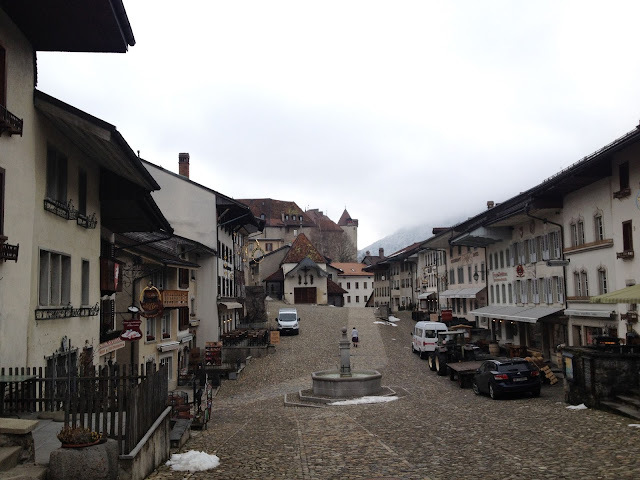 My husband had a very different experience, one I think about often since my books are set in Switzerland where he spent his childhood. One of the underlying themes of my next book, A WELL-TIMED MURDER, is family. Well, really children and parents and their relationships, which led me to quiz my husband about his experiences at boarding school. Not surprisingly, a fictional boarding school plays a significant role in the new book. Compared to my own circle of childhood acquaintances, my husband’s expanded exponentially the moment he arrived at school. Granted, there was a similarity of access to this privileged environment, but beyond that the kids were there for disparate reasons (parents serving in war-torn places, tradition of boarding school education, and yes, those children whose parents may have wiped their heads with glee!). They came from all over the world – Africa, the Middle East, Europe and a trio of brothers from America. This setting – full of incongruity and the clash of tradition and culture amidst the normal trials of adolescence – turned out to be rich fodder for my characters. The medieval town of Gruyere. Charmant! Affasanate! Reizend! As we celebrate the start of a new year, I don’t have a resolution precisely, but I do hope to meet up with some of my childhood friends and acquaintances in 2018. No matter our different paths, we still have a special connection. I’m sure of it. I’m curious – did you connect with lifelong friends over the holidays? My ‘oldest’ friends date from 5th grade, when my family moved to a new town. 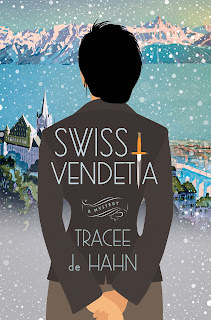 I bet a few of you have friends from much earlier than that…..
Tracee has a giveaway for one lucky commenter: your choice of the audiobook or trade paper of SWISS VENDETTA, or, if you're willing to wait a month, the hardcover of A WELL-TIMED MURDER! You can find out much more about Tracee de Hahn, her books, and her travels at her website. You can friend her on Facebook, follow her on Twitter as @LuthiMysteries, and drool over her pictures of glorious food and sweet dogs on Instagram! And happy new year to you, Tracee. 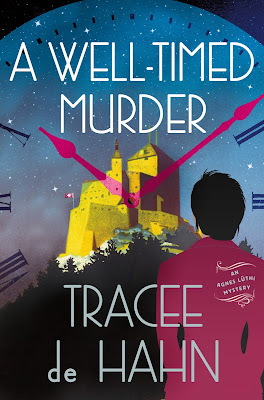 “A Well-Timed Murder” sounds quite intriguing and I’m looking forward to reading about Agnes’s new investigation. We had a quiet holiday and got to spend lots of time with grandbabies. But reconnecting with friends is always a pleasure; it’s always interesting to compare notes and catch up . . . . Spending time with grandchildren sounds like a perfect holiday! My husband headed to India with a student group the day after Christmas and I went to my parents in Kentucky.... where my youngest sister and her newborn were visiting. I did night duty for the week and while tired had the BEST time. She is such a sweet little thing. Well back, Tracee, and yes, Happy New Year! I was the lucky winner of your first book via the Reds, and I am looking forward to reading A WELL-TIMED MURDER. Who knew that Swiss watchmaking was so secretive and deadly?! And it was interesting to read about the contrasts in the schooling environments between you and your husband. I have mainly housebound since November with a broken ankle, so no in-person visits for ne during the Christmas holidays with long-distance friends. I only connected with them via social media. So happy to hear from you!!! And you shouldn't be surprised about the secrecy of Swiss Watchmaking. EVERYTHING in Switzerland is tinged with secrecy! I am so so sorry to hear about your ankle. My niece is laid up post surgery from a torn ACL (knee) and it's tough going. Hopefully your long distance friends have been enjoying hanging out on social media with you. I have many good friends scattered around the globe and I've gotten good at staying in touch long distance - much better than with it was only by phone. Congratulations on your new release! My older kids attended an old, crowded high school in the Atlanta suburbs...staircases to nowhere, two sides lined with trailer classrooms, with a secret tunnel under the gym. The fastest way to change classes was to go outside. The old high school closed after they graduated, and is about to be torn down. They were resigned, but sad. Top drawer faculty made it a very special school. Thanks so much! I'm excited about A Well-Timed Murder, doing the research was fascinating (particularly my trip to Baselworld and the famous watch and jewelry show.....Full of small objects that cost more than a large boat!) And thanks for sharing the story of the school. I hope there are photos! I know exactly the kind of place you mean..... a bit spooky but so full of atmosphere that it's okay - especially when paired with excellent teaching faculty. Margaret, I just had to respond. My 24-year-old son went to just such a school and we consider it such a privilege! Our community has a second high school that some prefer because it is all new and shiny, but in my opinion, the original school from when it was a village, added onto higgeldy-piggeldy over the years, is a far better place to learn about life. And like yours, it has a top drawer faculty that ensured a superior academic preparation. Happy New Year, Tracee! What different cultures your husband and you have experienced. And what a rich background you have to draw on for your writing. Thanks to Facebook, I've reconnected with my best friend from first grade, my first good friend from when we switched schools in fourth grade, and my best friend from fifth through eighth grades. We didn't spend time together over Christmas, but I saw all three of them at some time in the last year. Speaking of friends, one of mine grew up near you, in Owensboro. She lives in Hawesville now, and keeps asking me to visit. I especially want to go when the Friday night barbecues are on! And since I'm fascinated with timepieces of all kinds, your new book sounds so intriguing. Thanks for sharing this with us. My husband is currently on a three week trip in India with students and alumni FULLY enjoying the rich culture. We go about every year but it can be overwhelming for first timers and while I won't say they are overwhelmed..... (you get the idea!) Actually I think they are all having a great time, but travel is tiring. That's why the pictures are so important, to remind us of the fun we had! Hope you do make it to see your friend. I'll have to look Hawesville up, I'm from Madisonville, which is near Owensboro but I don't know all the communities in the area. Right now I live in southwest Virginia. Hawesville is east of Owensboro, along the river. My daughter lives in northwest Virginia, but her husband is from the southwest part, and he keeps telling us how beautiful it is. One of these days we plan to travel down there. India would be especially tiring, since it's such a long journey from here. It's on my bucket list! I checked the map! Yes! And if you make it to India email me and I'll share our tips. We mostly go to Rajastan (Delhi, Jaipur, Jodhpur etc). But there are many many others places there I'd like to visit. Such a beautiful country, and huge! Ohhhhh, I love the contrasts of small southern town and elite European boarding school, and the friendships and connections forged. I recently met up with a childhood friend for a holiday concert. We met when we were 4 years old and living in a housing complex for married graduate students. Our friendship has sustained over decades of very different life experiences. Lisa, I think that I rushed off to some cold weather emergency as you posted! There are so many ways that small southern and elite boarding school cross over - both are essentially small towns! And there is a bond - like it or not - formed in each. Of course at my husband's school they came from all over, and where I grew up we came from... there. You mention a friend from near toddlerhood.... one of my sister's recently lost a friend she had been 'besties' with since they were about 2. Such a privilege to have this long friendship and hard to lose her. Best regards for 2018! and stay warm.... I'm off to supervise (ha) the plumber. Wishing you a Happy New Year, Tracee! I met you at Malice last year when I helped (timekeeper) with the panel you took part in. So interesting. I'll look forward to this new book and the watchmaking aspects. I really like your protagonist. As to old friends - well, my husband and I have known each other since we were in our early teens and still have some friends from that time. The history we've all shared together has been special and all of our kids have grown up together. Good luck with A WELL-TIMED MURDER and I'll look forward to seeing you again at this year's Malice! Maybe I'll be able to 'time-keep' your panel again. My parents also met in their teens, and have celebrated 55 years of marriage recently. I have another set of friends who have the same experience. Amazing and congratulations to you and your husband for your long connection. Love your books so much! And so delighted you're visiting. As for old friends. Huh. Until maybe 10 years ago, I really had no friends from school days--not high school, not college. But after the books started, somehow that all began to burble to the surface, and now (when I go home to Indiana) I see several of them. And a few have even come to far-flung events. And it's really lovely. It's amazing how little we've all changed, and how much. Kind of touching, really. And yes, little kids. It's such fun to see the world through their eyes! I had quite a few high school and college friends bubble up when I was on tour for Swiss Vendetta last year..... it was fun (although the fear of not recognizing someone runs deep). Actually it was more than fun, so lovely of many of them to offer to open their homes for me while I was in town. Happy new year to you, Tracee, and congrats on the new book. I got reconnected with a college friend a couple of years ago. During our senior year we worked together on a parents-weekend banquet that featured the marvelous Helen Hayes. I did not know what had become of Ellen Crosby till I saw her featured as a guest here on JRW! That's fantastic! I find that the old memories come to the surface with such clarity when you see someone from 'the past'. And to think that you connected on JRW..... that makes it all the better! Thanks for sharing. Jim, I didn't know you knew Ellen Crosby, or that you were old schoolmates! She is one of my favorite people! Jim, that's so funny. Maybe we need to start a mystery community alumni connections page! 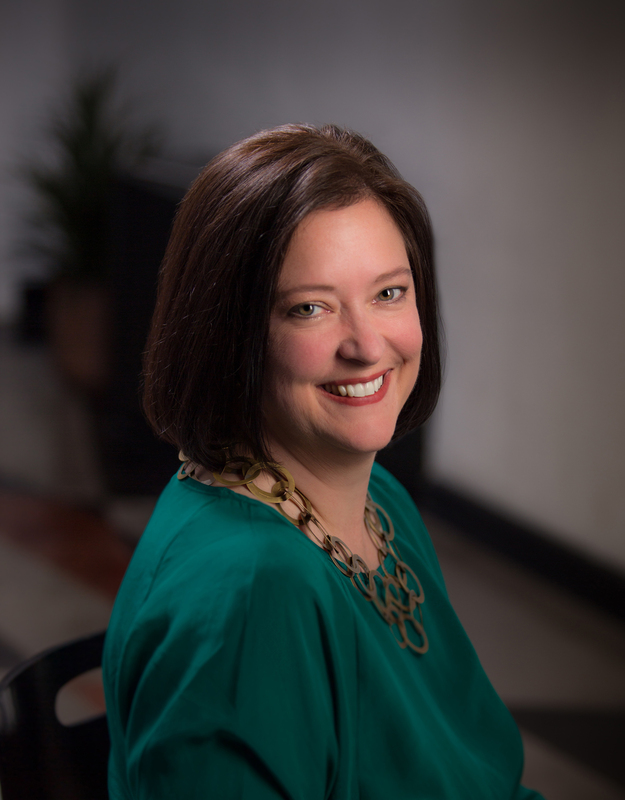 I ran alumni relations for a major university..... thinking about 'alumni connections' both thrills me and makes me reach for a heating pad and tylenol! Happy New Year, Tracee - your book sounds delightful, and one I have to read. Childhood friends. Mine start in high school and we are all in touch. The most amazing feature of these long friendships is it can be years between contact, but we pick up immediately as if no time at all has passed. Almost as if we have an internal connection that keeps us up to date. Good luck with the furnace - and stay warm! Kait, I totally agree about 'old friends'. I see people I haven't met up with in 2 decades and we pick up right where we left off. Now, integrating into our new lives might be trickier, but the reminisces are wonderful. The internal connection does work. I’m bad at staying in touch with friends except for the ones most active on Facebook. It’s not that I don’t want to, I just don’t think about it much of the time. I predict that one day you will simply run into someone and that will spark interest in a few others! Thanks for tuning in today! Off to meet the plumber now..... and keeping a weather eye out for the furnace man! Happy New Year, Tracee. Your books would be a treasure to read and enjoy. They sounds impressive, fascinating and memorable. I did catch up with an old classmate and we are in touch. Thanks! I've enjoyed catching up with old classmates recently and meeting their children - who are the age we were when we first met. Seems impossible! Happy New Year! Since we stayed home, there was no catch-up for me. Most of my friends have moved away from the "old home town" by now. I am still in contact with my absolute best friend from school. She and I were thrown together in 7th grade when our respective best friends ditched us to become friends and we were left together. No matter how much time passes between conversations, it's like we just saw each other yesterday. This is amazing! I have a sort of similar story about my 'oldest' friend. The lovely girl who befriended me in dance class when we were in 5th grade. I was new in town and HATED dance class. We bonded and were best friends for years and are still in touch. She made such a difference in my life. Congratulations on your new release. Happy New Year. The post was so interesting and I enjoyed learning about your writing and hope that your furnace problems and dealing with the cold temps improves. What wonderful novels which would give me an escape. I haven't been in contact with old friends but with facebook it is much easier and accessible. It's the initial shock when something breaks. Now I'm all settled in, working, and the dogs have decided we probably won't actually freeze it's all okay. It does make me think of people who are truly cold with no end in sight. Plus, my editor has sent an email mentioning my first book - Swiss Vendetta - which starts with an ice storm. I think we agree that today could be called on-going research! CONGRATULATIONS on the new book, Tracee - sounds perfect for snowbound readers. Happy New Year Hallie! Henri and met because of architecture..... at the University of Kentucky (my alma mater) and where he taught. Like many Europeans he wanted the NYC experience and while living there he received a call from the British dean at UK asking him to come teach for a semester. Henri's first question was where is Kentucky. I think you and I both wish were on a 3 week trip to India right now. Author Susan Breen is also there - in a different area form husband - and I have been living vicariously through her tweets. On the other hand, if I weren't at home it would be a frozen mess upon return so it all works out! Swiss Vendetta started much like today - a snow bound blizzard. The new book is during the thaw. Spring will arrive! Let's all keep that in mind. Hi Tracee! I loved Swiss Vendetta (recommended to me by Barbara Peters at The Poisoned Pen) and am looking forward to the new one, and especially to learning about Swiss time pieces. What fun! And I'm glad to hear that you're coping with the cold. I'm in touch with a couple of friends from grade school on Facebook, but also am still besties with my best friend from 3rd grade on. In face, my daughter and I just took my granddaughter to Kansas City to visit her in December. We did lose touch for a few years, but reconnected when she saw my first book in her library in Kansas City! Oh, and Julia is right about your Instagram photos! Gorgeous food and adorable dogs. Tracee, I'm so happy to see you here today at my favorite blog and first stop every day online. I have the ARC of A Well-Timed Murder you sent me and will be reading it and reviewing it before publication date. I can't wait to read this new Agnes Lüthi novel. I loved Swiss Vendetta, and it had one of my favorite covers of 2017. I so enjoyed meeting you, too, and learning about your fascinating Swiss connections via your husband. And, of course, we have the western Kentucky and University of Kentucky locations in common. Living in Owensboro, Kentucky since I got married 41 years ago and graduating from the University of Kentucky. I know we talked about this commonalities when we met at your book signing in Owensboro. Congratulations on what I know will be another outstanding book. I do keep in touch with friends from my hometown, ones I went to elementary school and high school with. In fact, I've known several from kindergarten, which my mother taught in our home's basement. That was before the days when kindergarten was a part of the public school system. One of my kindergarten friends is one of my best friends still and a travel buddy to boot. I attended my first Bouchercon in Albany with her. She lives in Virginia Beach, when she's not traveling all over, and I love to visit her at her home on Chesapeake Bay. When I go "home" to Maysville, KY, I try to get together with a few old friends for dinner. Our last two high school reunions really got us reconnected in a solid way. I thoroughly enjoy these long-time relationships and looking back at where we all started. Hi Kathy!!! Wish I was stopping through Owensboro this year. It was such fun to meet you last year there. Looks like closest I get is Madisonville and Louisville (which is likely really the opposite direction.....) Hmmm I need to review my Kentucky geography. I'm so happy to hear about all your connections to the past. And funny you should mention kindergarten.... we moved to a college when I reached kindergarten age (from the tiniest town in the world) and all of the kids had to say which nursery school they had attended. I didn't even know what nursery school was so I simply repeated the most common name. My mother figured this out at some point. I don't think I was a little liar, I was just trying to adapt and blend in :) Plus Busy Bee sounded fun! I loved reading about you and your husband's respective school experiences, Tracee. Did he enjoy attending boarding school at that young age? Congratulations on the book, and stay warm! I hope the house repairs get done in a timely fashion! Ingrid, Great question. My husband was so young that it was hard. He adjusted and spent several wonderful years there and is in touch with many of his former classmates. On balance it was a great experience..... but maybe a year or so older? He had just turned 9. On the other hand, we have a British friend who started at her school at 7, and she had classmates who were 3. Now she would be in her mid-80s now and it was a very different time. Her parents were serving in India (as a doctor and nurse) and it was deemed too dangerous to take children there. I don't think this would happen now.... although I may be wrong. Perhaps one of the parents simply wouldn't go? Or the child would be left with a relative? Either way, difficult all round. And thanks for the house repairs wishes. At least I have a second furnace.... although the downstairs front is mighty cold.... and I'm starting to think through a night time plan to keep things warm enough so pipes don't freeze. But there are many people much colder than me, so all is well. Two of my cousins were in boarding school as children. My uncle worked for an oil company and lived in Ceylon (Sri Lanka). Tommy, the older cousin, was in the newspaper for having flown unaccompanied around the world when he was around seven! He was at a tough British school. Jackie went to a Swiss boarding school. I thought it was all very romantic, until I later heard their descriptions. Aside from siblings and cousins, I am in touch with a few friends who were babies together with me. After my 50th high school reunion and, thanks to Facebook, I am now in touch with many people I knew from first grade. I find it fascinating -- when you only know people in school, or maybe visit their homes once or twice, you know nothing about who they really are. You don't know that one girl is the oldest of six sisters, or one's father was an artist, or one's brother died in Viet Nam. We have found all sorts of connections as adults. I love Tracee's writing in this essay and will definitely get these books. I also agree about what we know about people, or think we know. I think this also applies to when we met someone. I know much more about some of my childhood friends because my family knew their families, and then there are college friends who I only saw in the context of campus. Some I learned more about later - and was astounded for good and bad. We don't see the adversity people faced and sometimes the tremendous privilege they have shrugged off! Hope you do enjoy the books! Best regards! Tracee, I had somehow missed your first book, so I think I'm going to try to squeeze it in before trying the new one. They both sound great! So sorry to hear about your trials in the cold today, though. For many years I was in touch with only one person from high school -- my very best friend, who became an actress and lived in Chicago for many years before getting her Ph.D. at Tufts and becoming a theater professor at a small college in the greater Boston area. But in recent years Facebook has helped me reconnect with many old classmates, and this fall we had a 40th class reunion. Though a relatively small percentage of our class made it, those who did had a thoroughly enjoyable time reconnecting. It is true that after sufficient time, the value of the shared connection far outweighs whatever differences drove us to our respective cliques and prejudices back in the day. Susan, I can only echo what you say at the end. The differences have melted away as we move through life. I have only been able to attend one class reunion, my 20th some time ago, and it was amazing how we are all 'equals' now. If you dive into Swiss Vendetta you will see that I was inspired by both a real ice storm in Geneva and my own experience in a long week of ice storm power outage. Make sure you are wrapped warmly before starting! A Well-Timed Murder takes place a bit later in the season... .when the spring thaw has arrived! Enjoy! I'm finally here late - I spent the whole morning shoveling out, bailing water from the sink with the frozen drain pipe, and toting logs upstairs for the wood stoves. If this weather goes on much longer, I'm going to have to start seeing a chiropractor. As for old friends, my two longest and dearest are my best friend from high school and my college roommate. Both women are godmothers to my daughters. When I see people from either of those periods in my life, my usual response is, "Wow, you've gotten old!" (I'm assuming their response is the same.) But my friends and I have grown up together and went through marriage, motherhood, career setbacks and gains and menopause together. One of us is still married, one widowed, and one divorced, and we're all (nearly) empty nesters now. It's fun to reconnect with friends who knew you way back when, but it's a wonderful thing to have friends that have stayed with you every step of the way. Oh no! I had frozen drains one time and swear it was worse than frozen pipes! Currently - post thaw this morning - I'm running so much water that it's well beyond 'dripping'. Love that you are in touch with these life long friends. My sister lost her friend from the crib to cancer a few years ago and it left a huge void. She was so fortunate to have had such a life long friend, though. Now, get back to bailing and shoveling while I do my rounds of the running faucets and meet the plumber - the cottage we rent behind our house is having problems and he's arriving to fix them! I feel for all of the people out in the cold working with frozen pipes and what not. Stay warm!!! Welcome to Jungle Reds! I remember meeting you and many authors at Bouchercon in Toronto. Yes, I reconnected with a lifelong friend whom I have known since we were about two or three years old. Yes, we went to school at that age. And I love that photo of Gruyere. Will that scenery be in your new book? When I visited Switzerland with our tour group, we took the gondola into the Swiss Alps. It was 0 celsius that day. We ate some rosti, which is similar to American hash browns. The rosti was better. I remember buying a watch from a shop next to the hostel where we were staying. The euro was stronger than the francs and I got more francs than euros before I left for Europe. Diana, I hope that one of your memories of Bouchercon doesn't involve fire alarms! So many tales of late night evacuations or fear of evacuation this year.... .although no one seemed to mind particularly. It was a fun time! And I'm delighted to hear you enjoyed your trip to Switzerland. A boarding school plays prominently in A Well-Timed Murder and the school was certainly inspired by my husband's at Gruyere. It is in a different location, though and the 'campus' isn't a replica, but the Chalet remains! Rosti is one of my favorites! We don't do it much at home, and almost never with the many add-ins that you find there. (Everything from mushrooms to meats.) There is actually a trick to it - involving preparing the potatoes the day before and keeping them cold etc. It took me a while to catch on to that. Since I moved when I was in grade school I don't have any friends from those earliest years and always love hearing about the special toddler friendships. One of my nieces has a friend that we are sure will be her lifelong soul mate - they've been friends since they were able to baby talk (their own secret language) together. Thanks for stopping by today! Having issues today. I loved swiss Vendetta! Will any of that family appear in the new book? As for friends, since we moved a few times my oldest friend is from my senior year of high school. Thanks! And yes, the Vallottons re-appear along with Agnes, her colleague Petit and her family. I'm glad you enjoyed Swiss Vendetta.... the weather is so cold these days I feel like I'm re-visiting it! Always on the lookout for a new book and this series sounds like just the thing for me! This looks terrific - I always enjoy a good boarding school back story (my mother taught at one when I was a young kid so my brother and I spent a lot of time running amok amongst the privileged elite)! Congrats on the release! We will see if my boarding school reminds you of tales from your mother and of what you experienced while running amok! I had fun creating this environment... thanks for stopping by today! Fascinating difference between your upbringings. Lots to ponder. My high school reunion was this past fall. I thought about it and decided not to go. The 1-2 people I might enjoy catching up with probably wouldn't be there. But our college friends are a close nit group. I was in the same situation for my 20th reunion. But I needed to visit my parents so I went and had a great time talking to people who weren't necessarily my close friends but who reminded me (in the best way) of those years. Thanks for stopping by today! Thanks for the fascinating insights into a life so different from the one I had, growing up on the beach in Southern California. I had a very quiet, laid back, country Christmas with nary a visitor this year. But a few years ago my best-friend-from-5th-grade came to stay for Christmas. She now lives in Berlin, Germany, so we felt very honored to have her make the trip all the way to Oregon. Unfortunately most of my childhood friends are no longer with us. I do have friends from high school though and we see them as much as possible, though we are all scattered over the US. Is There Such a Thing as TOO SAD? Jungle Red Writer's: We're Puzzled!